The Truth About The Twin Flame Mirror – Self Love And Mastering The Journey Of Souls. What Fear Or Insecurity Is The Mirror Reflecting Back To You? If you’ve been struggling on your journey, do make sure you download and use my Free Energy Cleanse Audio that will clear out heaviness from your chakras and aura, and infuse you with new high vibration light! When I used to give one on one intuitive coaching sessions to Twin Flames I eventually realized there wasn’t enough time for one person to help all the thousands of Twins out there – so I created this Free Pack of Downloads available for all Twin Flames. Today’s post is the next in a brand new Twin Flame video series to come this year. I know many of you are on YouTube and have been asking me to put out videos – so this year I’m doing just that! This is a longer video, which specifically sets out to assist you in understanding how the Twin Flame Mirror paradox functions, and how to use this to uplift your journey into harmony – ultimately, how to Reunite in Love. YouTube channel to be kept posted on new videos. Discover The Paradox That Can Cause Either Harmony or Struggle Between You. The Twin Flame Mirror is a much debated aspect of this incredible journey. 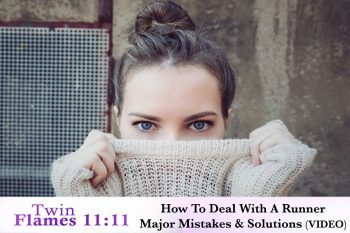 However, few truly understand what the Twin Flame Mirror is and how it works… So today, I wanted to take you through this. You’ve heard of the Twin Flame Mirror. Well, what it really entails is that your Twin Soul is always reflecting in some way the energy and intentions that you hold toward yourself on the inside. Deeper unconscious fears play a huge part here. If you are separated from your Twin, it’s because of something going on inside of *you*. You are one soul in two bodies, and everything happens according to this. It’s never just about your Twin. In essence, if your Twin is Running, it’s on a deeper level *you* who are running from you. Another little known fact about the Twin Flame Mirror is that twins are picking up on each other’s unconscious stuff, and projecting it at them. For example: At times you might be angry with your Twin, not realizing you’re picking up on their own inner anger and disdain towards themselves. The Twin Flame Mirror is always “on” and awareness is essential to work it to your advantage. As Two Souls Who Were Originally One, You Signed Up To Journey Back To Healing Together. Inside And Out. Because Twins are the same original consciousness, you are always connected. This means you’re always picking up on each other’s emotions, unconscious material and thoughts. The positive side of it is that it will assist you in discovering what underlying negativity exists between you, so you can eradicate it and uplift into love. On the negative side, it’s a little known aspect of the connection and many Twins spend years in this process without actually clearing the negativity that comes up. To work the Twin Flame mirror into a higher state it’s essential to remove the underlying stuff that has kept the mirror reflecting shame, guilt, fear, blame, anger and other negativity. Download My Free Energy Cleanse Guided Meditation at TwinFlames1111.com – I Get Emails Every Week About Twins’ Amazing Results With This! The cleanse tool in the Free Help Kit for Twin Flames takes you through this and clearing away any negativity in your field to help you rise up into love. The Twin Flame journey Is Not Just About A Love Relationship, It’s About Your Inner Wholeness Too. Another part of the Twin Flame Mirror’s “lesson” is that the divine masculine/feminine isn’t outside of you. You are not just one half. You embody both. We all carry both energies, it is a part of the journey that many disregard – but the truth is we are uniting with ourselves as much as with our Twin. The journey is about uniting all aspects of ourselves, to become whole within, not just to unite with our counterpart. Finding wholeness within and accepting both your masculine and feminine side means you begin to find wholeness with others too. You become a match to the harmony you desire with your Twin Flame. Twin Flame Love Is Not Just About Reuniting With Your Partner But Finding Inner Wholeness. Right now, list 10 ways in which you and your Twin Flame are alike. Focus on similarities to move closer. It’s a common human projection, to seek our completion in someone else. Unfortunately it alienates us from ourselves, keeping us always searching, never finding. It leaves us with emptiness inside. The spiritual truth is that you are already whole. Everything you need is here and now, in you. Your Twin Flame Unity and Happiness begins within. When you can align with that, your outer reality begins to reflect it too. To approach the Twin Flame connection from a place of need and longing unfortunately draws out more expressions of not coming together – because those energies push things away from us. Because you and your Twin Flame are indelibly connected and share an unconditional love as souls, you signed up to journey to human existence to be born in separate bodies, to take on the world’s negativity, fears and experiences of suffering. So that you could come together and help each other heal so deeply that eventually nothing would remain between you but unconditional love and joy and peace you share as souls. This means that Twin Flames keep being faced with underlying fear and negativity until you are ready to face them. When you can face and release fear, the mirror will begin to reflect love back. To do this, feel into yourself. Go within. Sense where there is fear, where there is hurt, where there is anger. Understand that these things are there because of past experiences. Be honest with yourself. Don’t try to figure it out with your mind. Go deeper. For many Twin Flames this is the shift that needs to happen to rise up into a state of love. To turn from the outside into the inside. To finally take on the proverbial “monsters of your inner consciousness” so you can emerge in a new light, your Twin’s true love. Instead of trying to escape the darkness – which will only keep it around. If you need some help with this process, download my Free Guided Meditations. Before you came here to life, you and your Twin Soul pre-arranged your lives. Most Twins chose to experience hardships so that you with your connection of unconditional love would be able to heal hurt and suffering. Ultimately, to unite as one in the face of seeming difference and separation. You knew how you would affect each other to purge negativity, you knew about the mirroring you would trigger in each other. The truth is that your soul already has the blueprint for you to journey back home to love. To access this wisdom, go within. Quiet the mind. Tune into your intuition. This is where the true answers lie. Transformation comes from confronting the shadows and healing our inner wounds. Finding the places where we’re lost to ourselves, discovering where we have kept ourselves locked into a self made prison of thoughts and fears. That’s the alchemy of self love. That’s the crux of the Twin Flame journey. It’s not just about being in love or finding the man or woman of your dreams. It’s about transforming darkness of hurt into light by using the power of love. That is the purpose of the Twin Flame Mirror. To pick up the pieces of ourselves and glue them back together, healing every pain with love. To really “fix” the outside, go within. Today, Resolve To Do Something Different. Instead Of Looking To Your Twin For A Reason, Look Within. What Are You Afraid Of Deep Down? What Old Hurts Are Still “Haunting” You? Today, resolve to do something different. Stop running from your own darkness. If I ever had a gift on my journey, it was my relentless desire to go deeper into my own psyche and understand why I felt the way I felt so I could resolve it. Self love and acceptance is truly what will “magic” your relationship with your Twin Soul into a higher level of love and harmony. There are some simple ways to begin aligning with self love more and more: Holding your hand on your heart and saying simply “I love me, I love myself. I allow myself to give and receive love freely” every morning or evening for a few weeks will help shift your energy and emotions. Your Mantra For Self Love. “I Love Me, I Love Myself. I Allow Myself To Give And Receive Love Freely”. If This Feels Yucky, It’s A Sign You Really Need To Work On Self Love! Or if you want to go deeper and resolve long standing issues, have a look at my Higher Heart Transformation Journey, where we use a specially formulated meditation to go into the unconscious and discover what’s really hiding in your heart. We also assist your twin in resolving old hurts and opening up to love once more. – Be Honest With Your Fears. When problems show up between you and your Twin, know that there are shadows at play. “Shadow selves” are defense mechanisms that kick in when we feel the most threatened – when a situation resembles something where we experienced hurt before, the shadows come out to ward off the perceived danger. This is why people lose control when something triggers them – they’re not conscious anymore, the “shadow self” has taken over. This happens frequently with Twin Flames, as this is such a deep connection that a lot of fear is triggered. If drama shows up between you and your Twin Flame, know that the shadows have been rattled. Know that fear is involved. Seek to discover why the shadows are so afraid. Explain to all parts of your being and your Twin’s that you will do everything you can to help them be safe and loved. That you know they’re hurting and that they are loved. Send the energy of unconditional love into yourself and your twin. 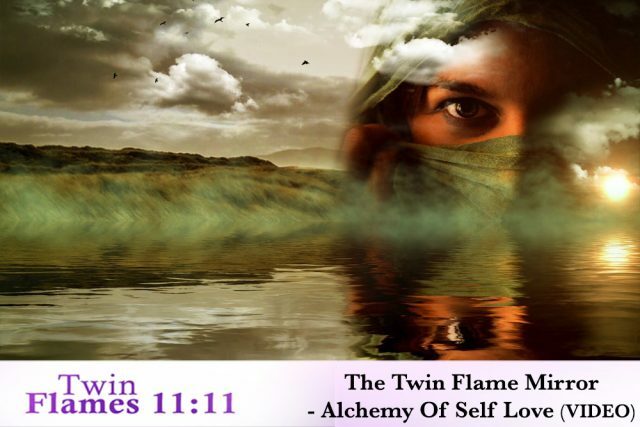 Above all, the Twin Flame connection is a journey of re-igniting the inner fire of love, which burns away at every fear and block to love in your system until you stand free, vulnerable, open – only love remaining between you and your other self. The patterns of separation are some of the deepest in human existence. They’re our hardwired patterns. All the things we took on before we understood who we were, why we were here, and even what love was. Because the inner alienation from our own love starts as soon as we’re born. As a baby we are all dependent on mother for love and nourishment, and this sets up a lifelong core pattern of seeking love and approval from the outside. Continuing in childhood as learning about what behavior is “acceptable” and what will be “punished” – most often through others withdrawing their love from us. This is how we learn to be “human” – to seek love outside of ourselves. And it’s how we learn that others can take their love away from us. Psychology reasons that all human actions revolve around love – fear of losing it, or an attempt to gain it. If drama shows up between you and your Twin, remember this. Which of these motivations is at play? Separation and fear of losing love is one of the biggest wounds all humanity carries. To always be chasing love, never dwelling in our own divinity. When you become aware of this, when you begin to work to center into your own light, to care for yourself and honour yourself, you can heal and uplift the twin flame mirror. Ultimately, we the Twin Flames are the world’s greatest experiment in love. A whole being divided, journeying back together to find unity in seeming separation. A journey set out to discover a self love so deep it could only be done from meeting ourselves mirrored to come back together. To experience a love so unconditional and complete that it had the power to heal the world’s wounds of separation. No matter what is happening on your journey right now, you began from love and love is your ultimate destination. All we need now, is to clear away the illusions, and resolve old hurts so you can truly begin to feel love and open up once more. To begin clearing away negativity and open up the connection between you to the love and reunion you desire, download my Free Guided Meditations. You can also read about the amazing experiences hundreds of other Twin Flames have had with these free tools. Do go ahead and sign up now, as I also send out free weekly energy forecasts – so you’ll to be the first in the know. I can’t wait to hear from you!